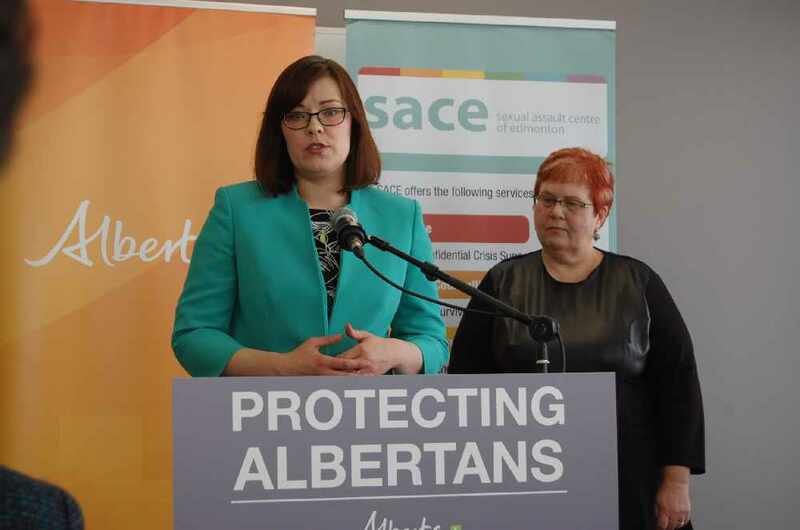 A bill introduced March 7 in the Alberta Legislature by Justice Minister Kathleen Ganley proposes to eliminate the two-year limitation period for victims of sexual and domestic violence wishing to take civil action. If passed, Bill 2, An Act to Remove Barriers for Survivors of Sexual and Domestic Violence, would remove limitation periods for claims for sexual assault; sexual misconduct involving a minor, intimate relationship or dependent; and non-sexual misconduct involving a minor, intimate relationship or dependent. Presently, a person has two years from the time she knew or ought to have known the abusive act had occurred to start a civil claim. Civil claims can include reparation for loss time of work, damages for pain and suffering, counselling or medical treatment. Burden of proof is significantly different in a civil action compared to criminal action, where criminal action requires “beyond a reasonable doubt,” while a civil case requires a “balance of probabilities,” said Ganley. Debra Tomlinson, CEO for the Association of Alberta Sexual Assault Services, said sexual assault is one of the most underreported crimes. “This bill will help lift that veil of silence. I think it may encourage more survivors to reach out for help. But more importantly it opens another door for survivors to seek justice,” she said. Lifting the two-year limitation, said Tomlinson, allows survivors the opportunity to “recover and heal” before having to decide whether to take civil action. She noted that Alberta’s sexual assault centres help a large number of Aboriginal victims. Not being bound to a time frame is important, said Stanley Venne. “What we know about trauma and how long it takes to admit it even happened,” she said. Ganley could not offer any numbers as to how many victims of sexual and domestic violence had been told they had run out of time to pursue civil action. Bill 2 will be “fully retroactive,” said Ganley, but she said other jurisdictions have not experienced an “enormous number” of claims going forward. “But I think there’s a real importance in saying to people, ‘You can now bring forward your claim. It’s your choice,’” she said. Ganley said the intention is for the bill to go into law this session but she doesn’t want to “presuppose the privilege of the members of the legislature.” If and when the law comes into effect, removing the two-year limitation period on sexual assault civil actions will bring Alberta in line with other provinces. However, removing the two-year limitation period on domestic violence will put Alberta in the lead. Ganley said Bill 2 addresses the civil system, the only system the province can guide as the Criminal Code falls under federal jurisdiction. Ganley said the government will be taking other actions, including reviewing the Victims of Crime fund to determine the needs of the victims and to use that money more effectively. “This bill in addition to what it does legally, it also does a lot in terms of signalling. So what this says is ‘we care about your experience. We hear you saying that not everybody is ready in two years and we’re willing to take action on that front,’” said Ganley. Stephanie McLean, minister of status of women, said her department is working with justice, children’s services, advanced education and education in developing a cross-government strategy that will be revealed in later months.